A new RDA from Squid Industries! Very exciting. 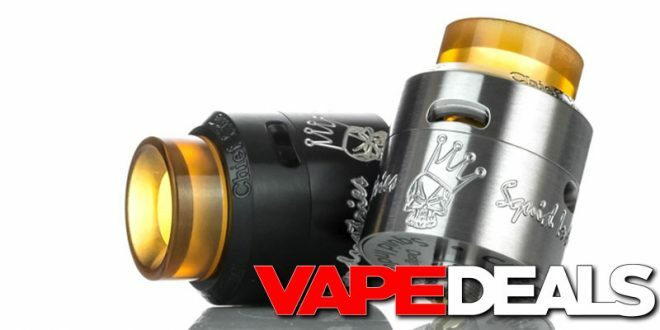 The Chief King RDA features an innovative quad-airflow system, a dual/single coil compatible build deck, and it comes with a squonk pin. VaporDNA already has it in stock and ready to ship too. 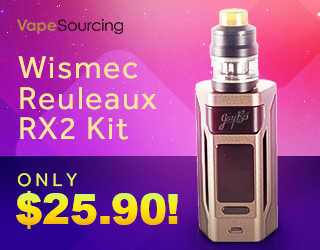 It’s listed at $39.99, but you can use coupon code “deals10” to save an additional 10%. That works out to $35.99 total, which ain’t too bad at all. Take your pick from 2 different colorways: stainless steel or black. Every order includes a free VaporDNA Vape Cloth; shipping is free if you spend $49 or more.